Scientists with the Norwegian Meteorological Institute are quantifying wave effects for use in ocean models that predict the direction of surface water movement. (From Ocean News & Technology) — Calculations that go into these models have important implications and relevant applications: improving them can provide better information in time-critical situations such as accidents and disasters. Researchers found that “the predictability of drift trajectories can be improved by adding wave information from a numerical wave model” with each “wave feature” helping to reduce uncertainties. They published their findings in the December 2012 edition of Ocean Dynamics: Observation-based evaluation of surface wave effects on currents and trajectory forecasts. This Norway-based research team is part of a larger research group led by Florida State University, the Deepsea to Coast Connectivity in the Eastern Gulf of Mexico (Deep-C) consortium. Deep-C is conducting research related to the Deepwater Horizon oil spill. The science team in Norway used sampling opportunities in the North Atlantic to conduct research and apply findings to improve Gulf of Mexico models of oil movement at the ocean surface. 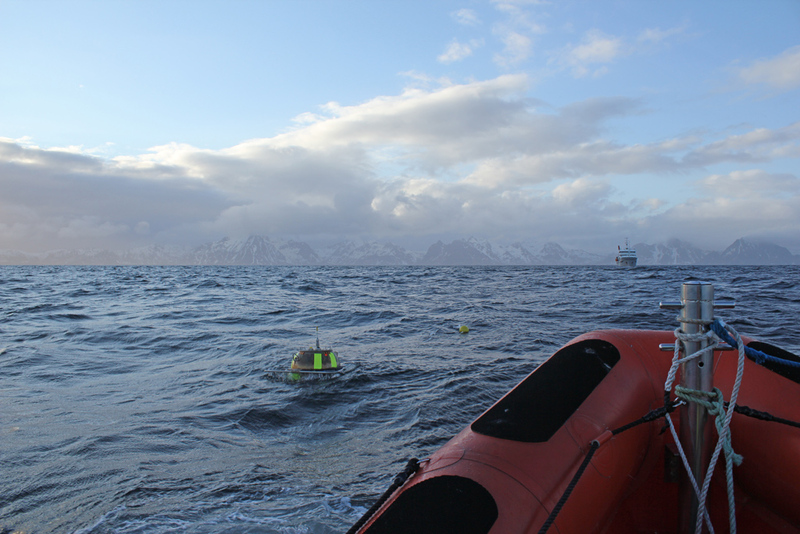 In April 2011, scientists collected data during a research cruise in the Vestfjorden area, northern Norway. They used a wave rider buoy for wave spectra and acoustic Doppler current profilers and two types of tracking buoys (sampling at different depths) for currents. The team formulated drift models with and without wind drag and with and without wave information. The study authors are Johannes Rohrs, Kai Hakon Christensen, Lars Robert Hole, Goran Brostrom, Magnus Drivdal, and Svein Sundby (Ocean Dynamics, 2012, 62, 1519-1533). This research was made possible by grants from BP/The Gulf of Mexico Research Initiative (GoMRI) and the Research Council of Norway to the Deepsea to Coast Connectivity in the Eastern Gulf of Mexico (DEEP-C) Consortium. The GoMRI is a 10-year, $500 million independent research program established by an agreement between BP and the Gulf of Mexico Alliance to study the effects of the Deepwater Horizon incident and the potential associated impact of this and similar incidents on the environment and public health. Ocean Science Made Easy – Corals, Sharks, Microbes, and More!